In 1907 Helen left school and began working to help support her large, Polish immigrant family in Buffalo, New York. For the next 11 years, until her marriage in 1918, she kept every postcard she received in a large scrapbook. A century later, the scrapbook remains intact. 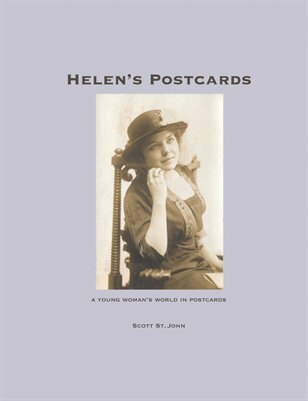 Helen’s Postcards is a new book featuring many postcards from her collection. The messages written on the postcards help tell the story of a young woman, her family and friends. The story portrays life in a different era, though as you begin to read the postcards, you might feel as if you are reading the sort of messages sent and received via email, text or social media in the 21st Century.